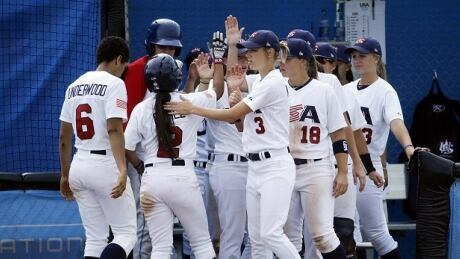 The U.S. women's baseball team claimed a gold medal at the Pan Am Games Sunday, routing Canada 11-3. Anna Kimbrell hit a bases-clearing double in the fifth inning to open up a close game. Women’s hockey did not gain overnight acceptance, and yet female hockey players are now being inducted into the Hockey Hall of Fame. 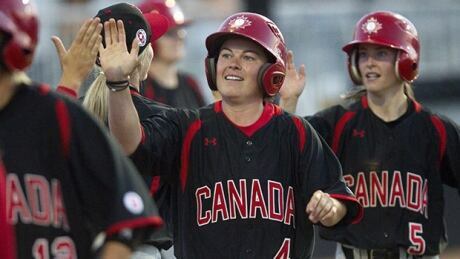 Canada's women’s baseball players hope their sport enjoys a similar growth. Is the international extra-innings rule too gimmicky? A strange international rule came into play during Canada’s gold medal win against the U.S. in baseball Sunday at the Pan Am Games. What many were likely unaware of is an extra-inning rule not seen in baseball at a professional level. Posted in Sports/PanAm (Actual)/Baseball | Comments Off on Is the international extra-innings rule too gimmicky? When the men's gold-medal baseball game between Canada and the U.S. went into extra innings on Sunday night, a strange international rule came into play that set up a crazy ending. 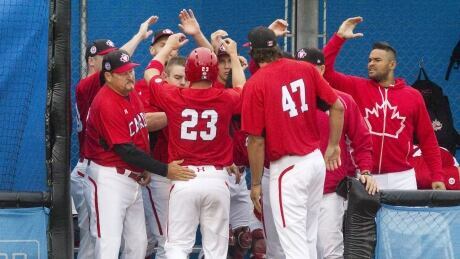 Canada defended its Pan Am Games men's baseball title by defeating the U.S. 7-6 in a wild final Sunday that ended in extra innings on a botched pickoff attempt by the Americans. Team Canada manager Ernie Whitt gave closer Jeff Francis the start in Sunday's men's baseball gold-medal final vs. the United States at the Pan Am Games. 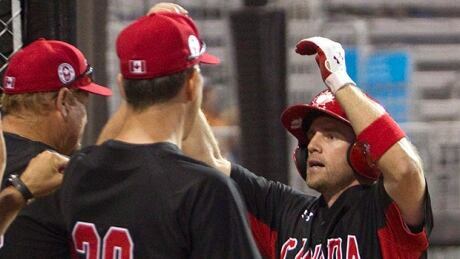 Canada’s baseball team advances to Pan Am final vs. U.S.
Canada's men will face the Americans in the baseball final at the Pan Am Games on Sunday after easily handling Puerto Rico. Posted in Sports/PanAm (Actual)/Baseball | Comments Off on Canada’s baseball team advances to Pan Am final vs. U.S.
CBC will live streaming Team Canada’s men’s Pan Am Games semifinal baseball game against Puerto Rico on Saturday night at 7 p.m. ET. On Sunday, CBC will stream either the bronze-medal game (1 p.m. ET) or the gold matchup (7 p.m. ET), depending on which contest Canada plays in. 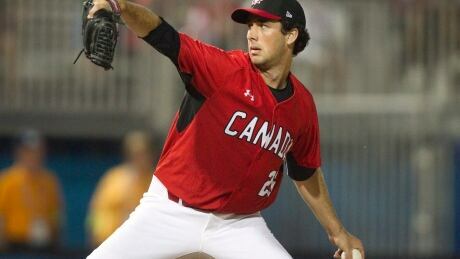 Canadian pitcher Jeff Francis helps to carry the men's national baseball team as it enters the semifinal round of their Pan Am Games tournament. 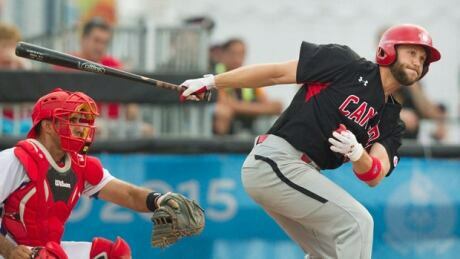 Canada improved to 3-0 at the Toronto 2015 Pan Am baseball tournament with a 9-1 win over Nicaragua Monday night. Canada's starter Phillipe Aumont pitched five strong innings, not allowing a run while striking out eight. You are currently browsing the archives for the Sports/PanAm (Actual)/Baseball category.